.79" x 1.12" x .15"
A unique design! 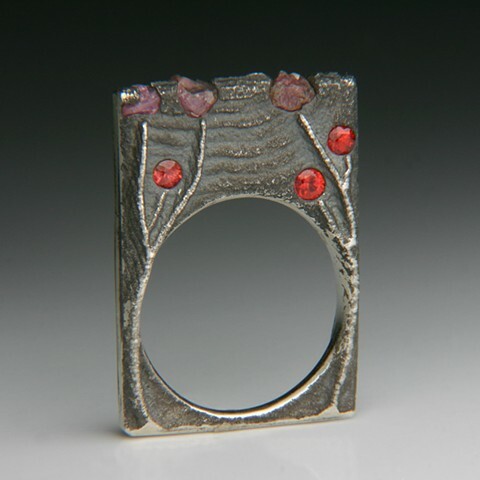 This ring or pendant is made with five Sapphires and four Rough pink Montana Sapphires. This ring is made of Sterling Silver and can be worn as a ring or a pendant just add a chain. Contact me for one of your very own.